When talking about risk, investors commonly use the idea of risk and volatility interchangeably. However, this might not be the best idea. Traditionally, volatility is understood as the positive and negative moves in an investor’s portfolio. In contrast, risk is the potential for an investor to not have that portfolio meet its goals. Therefore, volatility is an element of risk but there are other elements as well. Two key elements of risk investors need to be aware of is their risk requirement and their risk temperament. An investor’s risk requirement is the volatility and uncertainty they must take on in an effort to achieve their goals. Their risk temperament is the amount of risk they are actually capable of taking on and still being able to eat or sleeping at night. Ensuring these two measures of risk are aligned is important for the overall success of an investor’s goals. For a long time, we’ve calculated risk requirement when working with clients on their financial plans and assessed their risk temperament through conversation and fact-finding. Now, though, we’re excited to introduce a new technology to our planning services that will help clients quantify the risk most suitable for their temperament as well as update it as need. 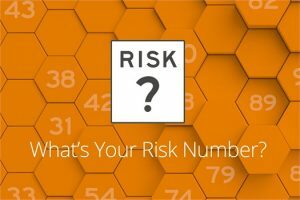 If you are interested in getting started with finding your risk number and whether your portfolio is correctly allocated for it click below to get started.